"Without Cavan Institute, I doubt that I would be in the position that I am in today. I knew that I would not get the points needed in the Leaving Cert to do a Physiotherapy course in Ireland, so I used Cavan Institute as a stepping stone to get into a University abroad. The course itself in Cavan Institute is filled with interesting topics such as Anatomy and Physiology, Injury Treatment and Prevention, Nutrition and Taping and Strapping. The knowledge that I attained in this course gave me a great start to University. I had a good foundation in the basics of Physiotherapy. Outside of the course, the college is perfect for educating people on how to prepare for life in University by allowing them to take on a more responsible role in their education. This includes completing assignments, practicing self-study and meeting deadlines. If progressing into physiotherapy is not for you, there are still opportunities available to work within the sports sector. 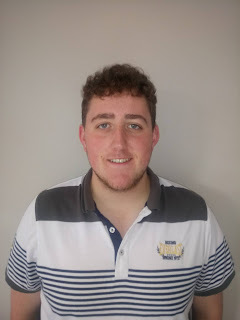 Before I started my physiotherapy degree, I gained knowledge during the Summer of 2018 by working with various football and soccer teams as a sports physio throughout the Cavan-Leitrim region, but mainly with Gowna GAA. It allowed me to develop my skills in taping and strapping, performing sports massage and using first aid as well. All of these skills are very desirable in the world of sport. 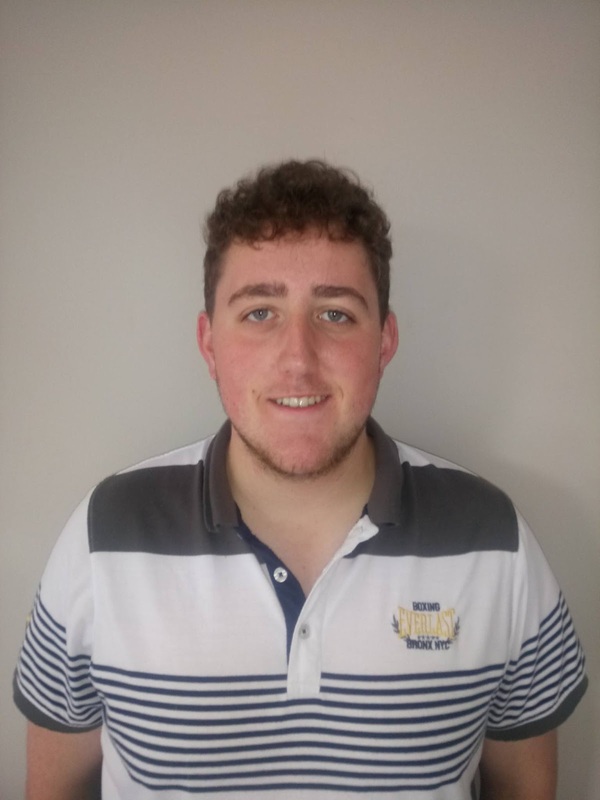 My two years in Cavan Institute have allowed me to pursue my dream of becoming a Physiotherapist and for that, I would definitely recommend Cavan Institute for anyone who wants to do Physiotherapy or become a Sports Physio." Thanks so much for your words of advice Eli. We wish you all the very best with your studies and your career. “My name is Sharon Monaghan. I studied Nail and Beauty Care last year in Cavan Institute. This wasn’t my first time studying with Cavan Institute. I attended Cavan College in 2003 -2005, studying reception studies and advanced business and computer studies. I then started a job in Quinn Direct/Liberty Insurance where I worked for 11 years. Unfortunately, in 2016, I was made redundant from my job. 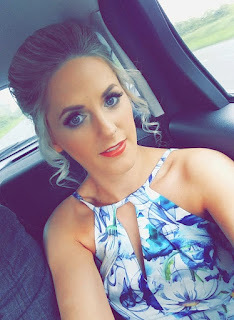 In 2014 I completed a skin care, eye treatment and make-up evening course in Cavan Institute. I realised I had a passion for this type of work, so when I was made redundant I decided to further my education and return to college. 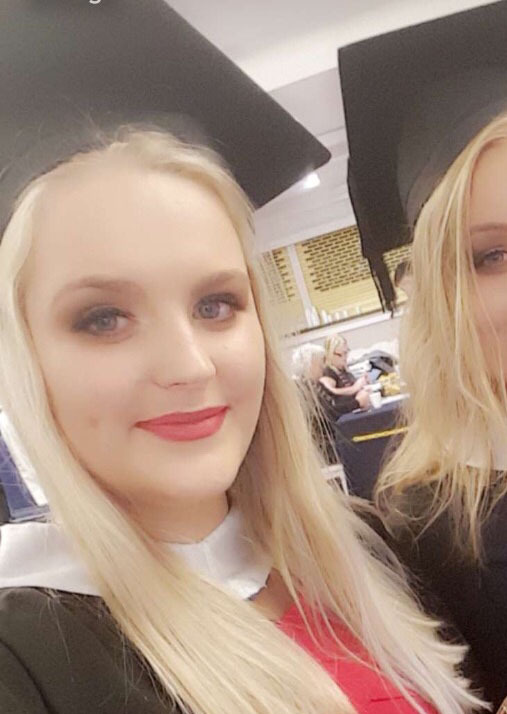 I was keen to attend Cavan Institute because it isn’t too far from home and as I and my two sisters had previously attended here I knew it was an excellent college. I looked at the courses available and narrowed it down to Beauty Therapy or Nail and Beauty Care. The Beauty Therapy course is a two year course and I was not able to commit to this. I looked into the Nail and Beauty Care further and it seemed to be ideal. It’s a one year course, it covers nail technology which includes gel and acrylic nails which are very popular in salons. It also covers manicure, pedicure, waxing, massage, skin care, eye treatments and make up. All of which are the main treatments in a salon. I completed my work experience in December and as a result of my placement I was offered a full time job in May when the course is completed. I really enjoyed the course and the tutors are excellent. I am very happy with the course I choose to do and would recommend it to anyone. Thanks for your contribution Sharon. Continued success to you in life and your career. Alex Vintea completed the final Accounting Technician exams in May 2017 in Cavan Institute and passed with flying colours. Having no formal accounting qualifications prior to joining the course, Alex found the course difficult at the beginning but soon came to terms with the workload and managed to get through all his exams. He secured employment with Cavan Equestrian Centre as a junior accountant and is really enjoying his new role. 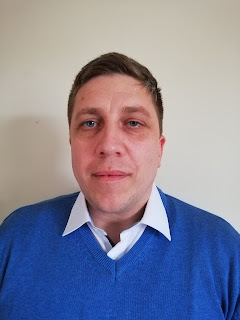 He decided to take the next step and successfully completed the Tax Technician Qualification through the Irish Taxation Institute in 2018. Alex stated that ‘he loved his experience at Cavan Institute and found the teaching staff friendly and very helpful'. Well done Alex and we wish you every success in the future. "I studied level 5 pre-university law and level 6 administration and IT skills. I chose to do the pre-university law course in Cavan Institute. It provided me with a great insight into the Irish law system. It provided me with practical skills that are required in the work place. As part of both courses, one mandatory subject was work experience. I believe that if I had not completed my work experience in a solicitor's office, I wouldn't be where I am today. The work experience gave me great knowledge on how a legal office works. I was also trained up on the software which is used in many legal offices. I am now working in a solicitor's office, being trained as a legal secretary. My courses in Cavan Institute gave me a great insight and has helped me in many ways. I now have the opportunity to become a qualified legal secretary. I can progress to a level 7 Diploma in Legal Studies and Practice in Griffith College." Thanks for your contribution Devorca. We wish you continued success in your career and life. 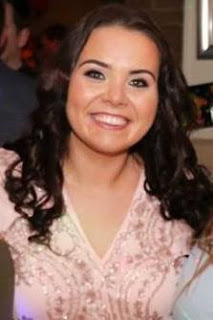 Student: Áine Smith from Cootehill, Co Cavan. "When I completed my leaving certificate I had no idea what I wanted to do. So, I opted to do a year in Cavan Institute in Childcare, this then progressed on to two years. The modules covered were excellent if you wanted to gain an insight into the early childhood sector in particular, child development and early childhood curriculum these elements were interesting but also are fundamental in the work place today. Each of the modules covered in the course give you the basis and confidence to go on to work in the sector but equally to progress in your studies. I developed skills in assignment presentation but equally in time management and meeting deadlines. The variety and consistency of work placements allowed us, as students, in Cavan Institute to get a taste of what it is like to work in the early years sector. I attended placement in Halle, in Germany as part of my studies with Cavan Institute, this was a once in a lifetime opportunity. This experience allowed me to get a flavour of what it is like to work in the early years sector in an international placement. It allowed me to broaden my horizon as to the various job opportunities there are abroad. This childcare course at Cavan Institute really emphasises the importance of early year’s educators to have a good knowledge of child development, but also to provide children with rich learning experiences. As a student you are encouraged to share any thoughts and ideas in relation to each module and this is extremely important as it also broadens your knowledge. It is true to say that I would not have gone on to complete my BA Hons Degree in Dundalk Institute of Technology only for the supportive tutors that I had in Cavan Institute. I am currently working full time as a preschool leader in a prestigious early years' service in Cavan. As the early years sector continues to strive towards quality provision, it is essential to have quality trained staff. At present I am engaging in continual professional development in a Leadership for Inclusion programme (LINC Programme) which is designed to facilitate early years’ educators to promote the inclusion of children with additional needs." We wish you continued success Áine and thank you for your contribution. Students have been very kind to forward their own testimonials for courses they studied at Cavan Institute. Student testimonials are a useful tool to gain insight into courses, progression routes, work opportunities and college life. You can read more testimonials on our LinkedIn account. “My name is Andrea Pownall. I studied Pre-University Law at Cavan Institute for the academic year 17/18. I have always had a keen interest in Law, however, school just wasn’t for me. I ended up leaving secondary school in sixth year and I didn’t complete my Leaving Certificate. "I completed my work experience in December and as a result of my placement I was offered a full time job in May when the course is completed. I really enjoyed the course and the tutors are excellent. I am very happy with the course I choose to do and would recommend it to anyone. To help you understand how and why Cavan Institute and CMETB processes your personal data, please read our Data Privacy Notices by clicking on this link.